Both sections of the GDES 299 Darkroom Photography classes took a trip to the Dakota Zoo the week of April 19. The zoo train wasn’t running yet, but the students still enjoyed themselves. The facility was closed to the public last week, but the zoo made special accommodations for the classes. After a long winter of shooting with cold fingers or working indoors the nice weather and outdoor setting were a great change and a reminder that spring is here. Jessica Ohlhauser gets low to take a photo of one of the zoo's babies. Reed Kuhnley, Blake Kaul and Kristy Orcutt shoot photos during class at the zoo. 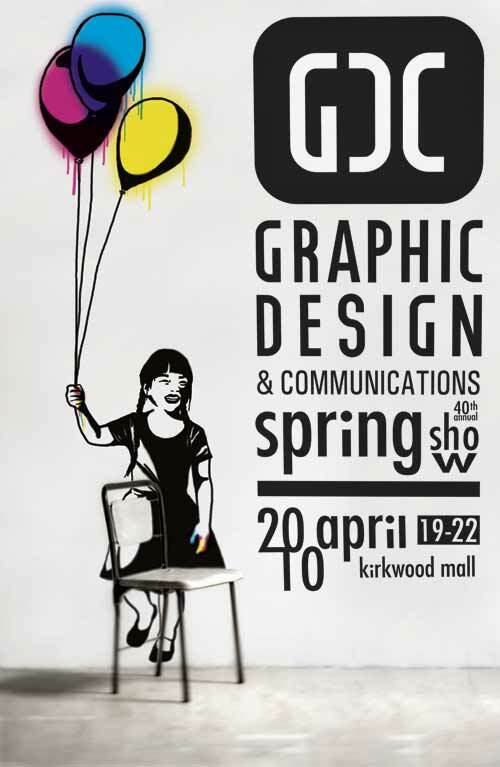 The Graphic Design and Spring Show is wrapped up and gone until 2011. 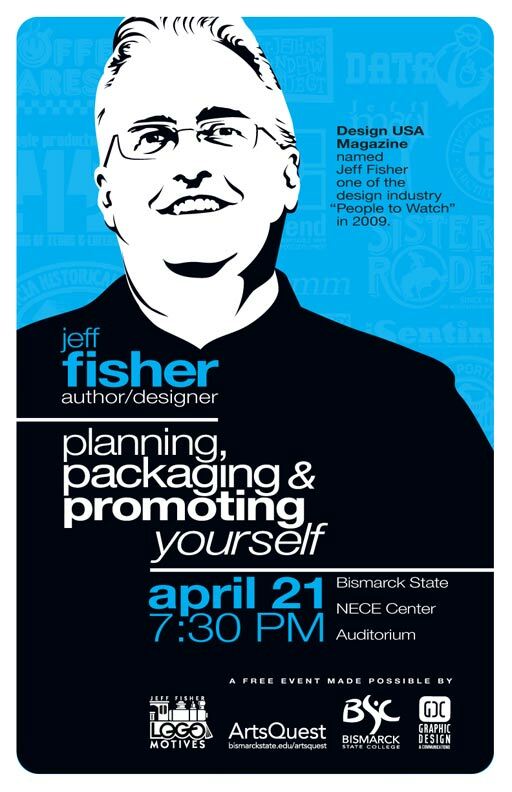 Jeff Fisher, nationally known logo designer, speaker and owner of Jeff Fisher Logomotives was the highlight of the event. Jeff Fisher explained his methods of self promotion Wednesday night. Fisher spoke to the freshmen and sophomore classes on Wednesday and presented to a nearly-full house that evening. KFYR television talked with Fisher and a GDC student, Abby Anderson. View the story here. Thanks to all that helped make this event happen and also to those that attended the show and Fisher’s presentation. Judges look at Flash animations to determine which work deserves top honors. Judges discuss the merits of photos as they decide which will receive ribbons. 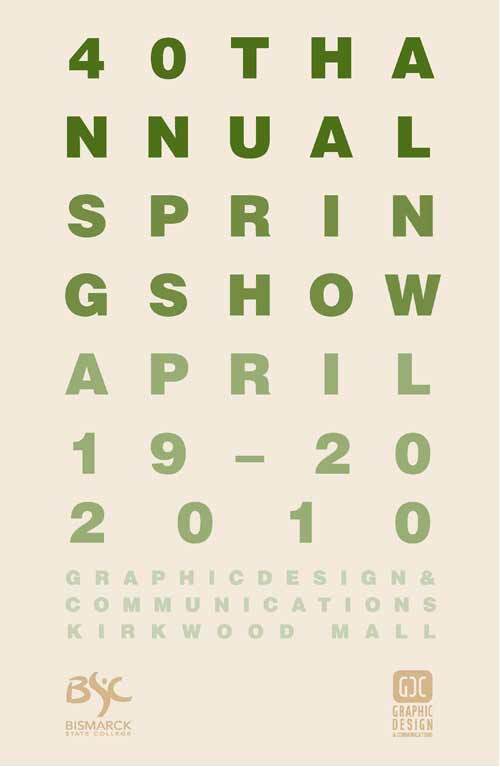 The 2010 Graphic Design and Communications Spring Show is underway. Monday evening the judges evaluated the work and assigned places. The student work will hang at the mall until Thursday afternoon. Piles of student work waiting to be sorted into categories. Graphic Design and Communications students have been working all week to print and mount artwork for the Spring Show. The piles have been growing and today the artwork will be categorized and prepared to ship to Kirkwood Mall. Monday morning the students and instructors will transport the work to the mall and hang it up. Late Monday judges will select the award winners and students will hang the ribbons. The show runs Monday through Thursday at Kirkwood Mall. One of the single most important concepts for a design student to grasp is that of form and content. Every design has a message (content) – either literal or symbolic. Everything about the appearance of the design (form) should help reinforce this message. Often times this is made easier with the addition of color and/or imagery – be it photography or illustration. What would your design solution be if you could only use type? The Graphic Design and Communication freshmen typography class were challenged with that same question. Below are some of their solutions. Class prepares to shoot photos of the downtown area. The church at Camp Hancock. Students check out shooting photos at the wall of Camp Hancock. 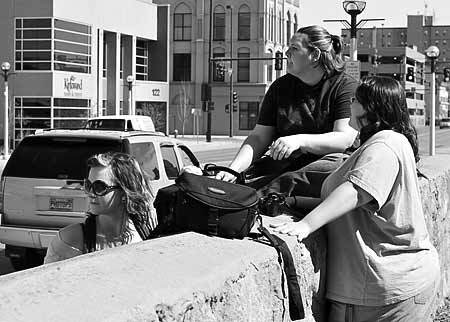 Students from Mike LaLonde’s Darkroom Photography classes spent the last class exploring downtown Bismarck. 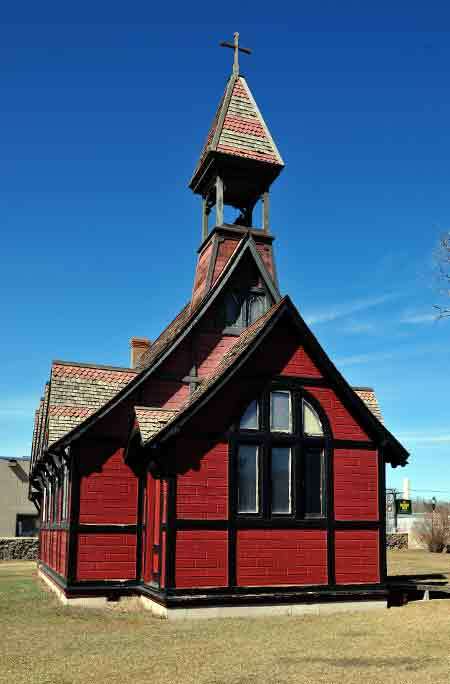 The class initially met at Camp Hancock on the west end of Main Avenue. From there, students began to walk and shoot images of downtown. 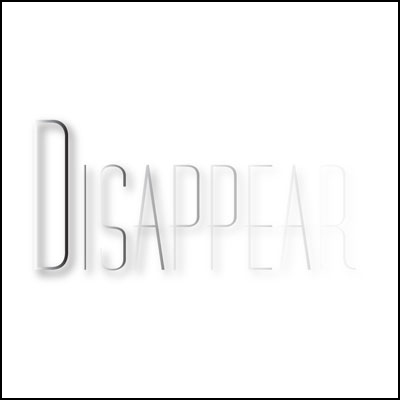 Some of the images will likely be displayed at the Graphic Design and Communications Spring Show April 19 – 22 at Kirkwood Mall.